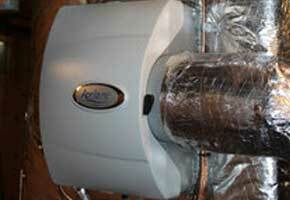 A humidifier is a household appliance that increases humidity (moisture) in a single room or in the entire house. LeBlanc Heating installs whole-house or furnace humidifiers, which connect to a home's HVAC system to provide humidity to the entire house. A Dehumidifier extracts humidity or moisture from your home. LeBlanc Heating installs whole home dehumidifiers which connect to your furnace duct work. Humid air can cause mold and mildew to grow inside homes, which pose various health risks. There is more to your home's indoor air quality than simply your heating and air conditioning system. The quality of indoor air is important for both personal comfort and health. Leblanc Heating sells and installs humidifiers, air purifiers and air cleaners to improve the quality of the air in your home. 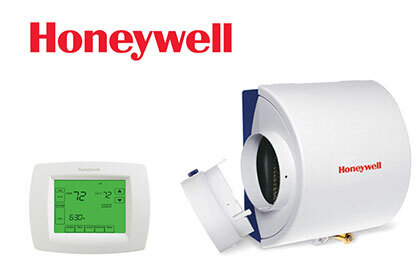 Humidifiers and air purification filters keep the air environment in your home clean and comfortable. 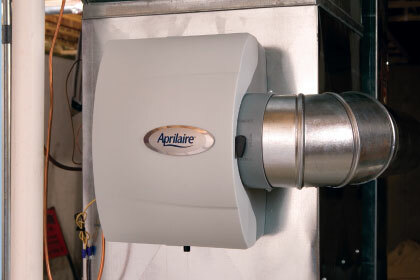 Humidifiers add moisture to the air during the dry winters and air purification filters help clean the air. There are four principle ways to fight indoor air pollution and improve filtration in your home. 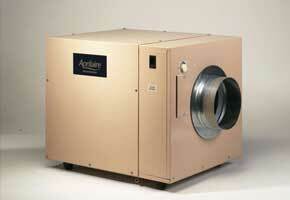 These are source control, ventilation, air filters, and air cleaners. Changing your filter is one of the most important things a home owner can do to maintain their HVAC systems efficiency. There are many variables that affect the life of a filter but it is generally recommended that homeowners change their filter every 6 months. Air filters are typically changed more often in the summer months than winter months and equipment which is under less use makes for extended filter life. Why change your filter? Your filter acts as a barrier between pet hair, pollen, dust and allergens entering your HVAC system. A bad or inefficient filter redistributes these airborne concerns back into your home via your supply ductwork. Additional concerns include increased dust collection within the unit itself. As dust builds up on key components (such as the furnace blower motor and evaporator coil), homeowners are more likely to experience system failure, reduced efficiency and increased service calls. Has your air quality remained the same, even after the installation of that expensive filter? All filters have a “pressure drop,” or amount of resistance. Even cheap throw-away filters can become problematic if not changed on a regular basis. As dirt collects on the filter, the pressure drop rises. Far worse than low cost throw-away filters are the high pressure drop filters, which have pressure drops of 0.35” w.g. or higher (some have pressure drops exceeding 0.5” w.g. by themselves). Homeowners buy expensive filters because they want to improve the air quality and comfort in their homes. Ironically, the filters often make things worse. Look inside the panel of a furnace or blower for a central air conditioning system and you will find the manufacturer’s rating label. Typically, one of the ratings is “Total ESP.” Total ESP stands for Total External Static Pressure. When the Total External Static Pressure is exceeded in a home comfort system, the fan slows. When the fan slows, there are a couple of possible consequences. First, there may not be sufficient air flow to ensure enough air is delivered to the end of the longest duct runs. When this occurs, these rooms may feel stuffy and too hot or cold, even though the temperature is comfortable elsewhere. 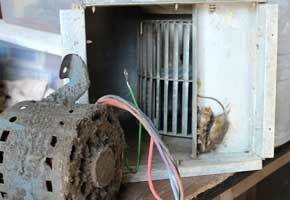 Second, the air flow passing over the evaporator coil may be insufficient to ensure proper dehumidification. If the evaporator coil doesn’t fully dehumidify, it and/or the surrounding plenum box can become a breeding ground for bacteriological growth and contaminants. Fortunately, the HVAC industry has a number of excellent solutions for homeowners who want better filtration than the minimal amount found with a throw-away filter, but do not want the comfort or bacteriological problems of a high pressure drop filter. These include residential HEPA (high efficiency particulate arresting) filters, deep pleated media air filters, and electronic air cleaners. According to the EPA, the air inside your home is far worse than outside air. Yet, when it is really hot or really cold, who is going to open the windows? It’s uncomfortable and unaffordable. There is a solution for some homes that improves fresh ventilation without the comfort or energy costs. It is called an energy recovery ventilator. Not only can it improve air quality, it can actually reduce utilities in certain circumstances. We recommend a whole-house approach with a duct mounted UV light and either a HEPA filtration system or an electronic air cleaner. 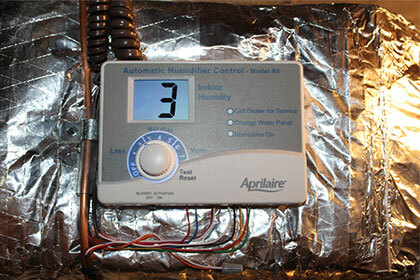 The installed cost of an electronic air cleaner is roughly 30 cents a day over the life of the air cleaner. What’s appropriate for your home depends on your budget, comfort system, and family.